V Tool Baseball has a mission & philosophy that includes excellence. 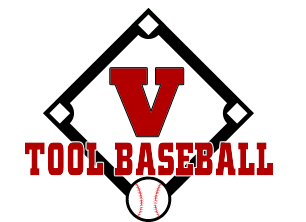 V Tool Baseball and Softball Training Academy is a place where players can go to be themselves, while getting the quality instruction they deserve at a price they can afford. We believe that baseball, along with many sports, has become a game of the haves and have-nots. If you have money, you can be good, but if you do not have money, your child is just out of luck. In today's baseball world you cannot get the level of training and game experience necessary by playing town ball or league ball. I wish more people understood this, because the best players at your age are traveling, going and playing better competition, and training all the time. That is where private lessons, travel teams, and academies such as ours come in. Let us be completely honest: In order to run a business we know it has to make money or it is not there very long. But, our philosophy is not to overcharge and under train as most facilities do. At V Tool we strive to be about players and instruction. That is why, you can search all over Missouri and you will not find an academy, or an instruction facility of any kind, that can offer the training we give at the prices we offer. We believe, and have plenty of testimonials, that you can find no better instructors than ours. Combined, the great instruction and the cheaper prices make us the best fit for many people. We are different for a variety of reasons. Of course we offer better prices, but we are not there to mess around for an hour and slowly teach your child one skill at a time so it takes multiple lessons to get them where they need to be. We believe in a holistic approach to training. We have to train the mind before the body can comprehend the activities we are doing. What we mean by that is this: It does no good for us to teach a child something and then they go play in a tournament and struggle all weekend because something just is not right. Sure, we can fix it the next time we have a lesson because that is what most private lessons offer, but they just struggled for a whole weekend. If you have never been that person that struggled for the weekend there is no worse feeling and it just puts a kid farther and farther behind. For us, we teach the child the skill, how to tell if that skill is off and we give them the tools they need to fix it themselves. We give them strategies to realize when their mechanics are off. If the ball does this, then you are doing this wrong and so forth. It is a must for them to be able to fix themselves between pitches and between innings. That is the biggest difference between us and other facilities. Our players learn as much of the mental side of baseball as they do baseball skills. Ask any coach, there are many kids with skills, but the ones who are SMART and skilled almost always succeed in every situation.